Playdead, master of the spooky platformer, is working on a new game, and it really wants you to play it. After the success of its deeply atmospheric, Live Arcade exclusive, platform-puzzler, Limbo, Copenhagen-based developer Playdead is getting to work on a brand new game and IP. Speaking at the IndieCade Festival in California, Playdead CEO Dino Patti couldn't say much about what the studio was working on, just that Limbo fans would enjoy the game and that while it would clearly be from the same team, it would be very different from what people had seen before from Playdead. Patti also reiterated that the exclusive part of "Live Arcade exclusive" meant forever and always, and that Limbo would not be appearing on any other platform. 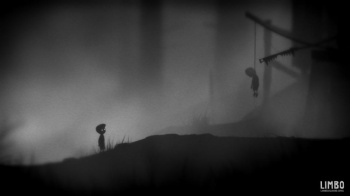 Limbo had cost Playdead a lot; both in time and money, and Patti said that sticking to just one platform had been a way to recoup the monetary cost. As for Playdead's new game, Patti said that nothing was fixed and there was still a possibility that it might be another console exclusive, but that what the studio really wanted was for as many people to play the game as possible.